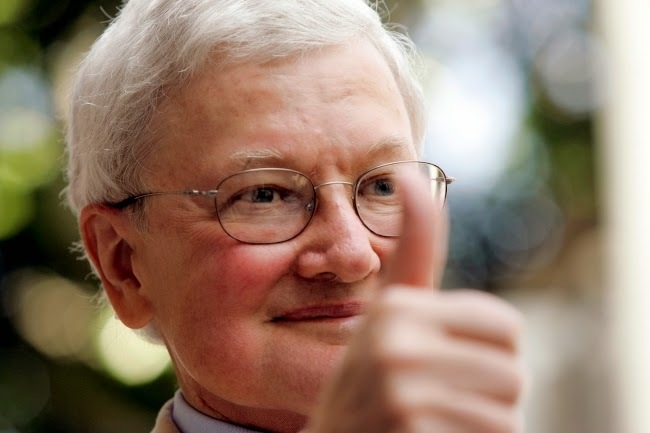 Roger Ebert and that iconic upward thumb. So begins Roger Ebert's memoir and Steve James' documentary that followed, both known from the astonishingly simple, yet brimming-with-meaning title, Life Itself. First, I must say that Roger Ebert, the writer, has inspired me more than any one writer I have ever read. And I majored in English. I have read Beowulf, Milton, Pope. I have read Wordsworth, Byron, Keats. I have read Shakespeare. I have read McCarthy, Irving, Chabon. Ebert touches me most. Not to say he's better than any of those. He doesn't even (for the most part) write in those genres. But his writing has shaped me, has made me the writer I am and that I hope to be. Steve James directed probably the most powerful documentary I've ever seen...Hoop Dreams. Roger Ebert (and longtime rival and TV partner, Gene Siskel) championed this film. They made Steve James' career. That is just one of many of the fascinating chapters of James' film of Ebert's life and death. 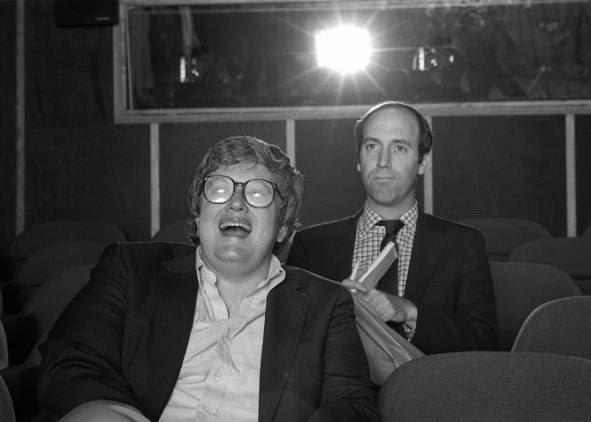 Roger Ebert and Gene Siskel became the first movie critics in the history of film criticism to truly impact the careers of some of the finest filmmakers of their (and my) generation. In fact, another iconic documentary filmmaker (and one of my favorites...period), Errol Morris (The Thin Blue Line, The Fog of War, Standard Operating Procedure) admits in an interview for Life Itself that Roger Ebert and Gene Siskel made his career by continuously discussing his first feature on their show, a brilliant documentary about pet cemeteries called Gates of Heaven. They did it by brazenly presenting and highlighting movies that most people wouldn't ever see. They chose to review films that simply were not the big blockbuster or rom-com that week. Oh, they saw those too. And debated about them. No movie was left unseen. Roger Ebert easily reviewed 200 movies every year. I'm sure he watched way more than that. He was a movie-writing whiz kid, who wrote for one paper, The Chicago Sun-Times, for 46 years. This is even after he became the first movie critic to win the Pulitzer Prize and the target of bigger, better papers, including The New York Times and The Washington Post. As James' new documentary makes us aware, Roger was happy there. He was happy working at a working-class paper. He told the New York and Washington boys, "I don't want to learn new streets." Life Itself skims through the pages of Ebert's life both fully and effortlessly cutting footage of his most recent hospital rehab visit in the winter of 2012/2013 with a chronological account of his life. After a long remission, his cancer had returned causing a fracture in his hip. This is after a series of life-saving surgeries (to treat his thyroid and salivary gland cancers) starting in 2006 that ultimately removed his ability to speak, eat, and drink. The scenes of Ebert in the rehab facility are true and sometimes harsh. In a recent "Fresh Air" interview with Terry Gross, the late Ebert's wife, Chaz, and filmmaker Steve James discuss Roger's insistence that the camera capture a suction procedure that must be done constantly. A tube is inserted into his throat essentially swallowing for him as he has lost that ability with most of his jaw and lower mouth. Chaz would have refused to let that be filmed. Roger had Steve had to do it when she was away. Such is the power and bravery of Roger Ebert. He had nothing to hide. He wanted people to see his life, even at the end, for what it was. The truth of his life, he believed, must be seen. Life Itself begins with people snapping pictures in front of the Chicago Theatre just after Ebert's death in April of 2013, a day that changed my life. We meet Roger and his wife and Steve James himself in the rehab facility. He was a born writer, the movie shows us. Through personal photos and video footage, we see boy Roger, the son of a blue-collar Illinois man and a housewife, a kid who started his own newspaper and delivered to the people of his neighborhood. We understand, through email exchanges with James, how Roger came to be who he is, a democratic, pro-labor man, whose self-described political beliefs are summed up by one word..."kindness." The new guy on the movie beat. In relationships with certain filmmakers, we understand, as one puts it, that Ebert was a "populist" sort of movie critic. He believed that anyone could "get" a movie, that all movies are for everybody to critique and judge. "The movies," he says, "are a machine that creates empathy." The film also delves into his start at the Sun-Times and becoming film critic almost by accident. 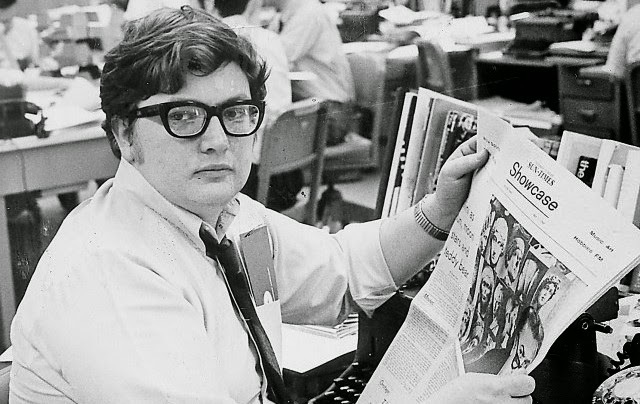 He landed there out of The University of Illinois (Harvard was too expensive, his father said), where Ebert spent most of his time as the Editor-In-Chief of The Daily Illini. It recalls one of his first reviews, the 1967 film Bonnie and Clyde starring Warren Beatty and Faye Dunaway. 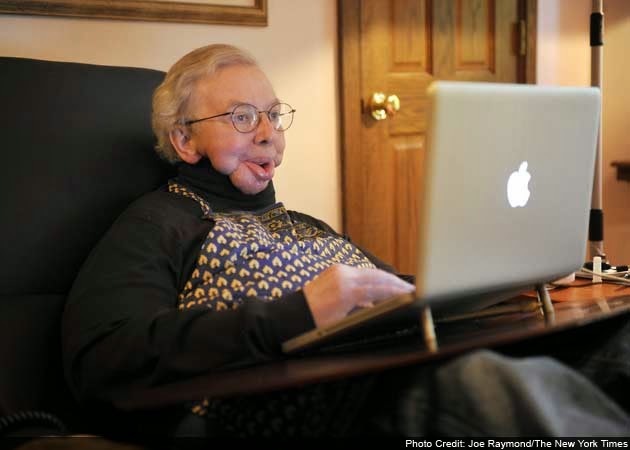 A scene that also marks the first time James uses a lovely technique of showing film clips with Ebert's words running in short bursts across the screen. 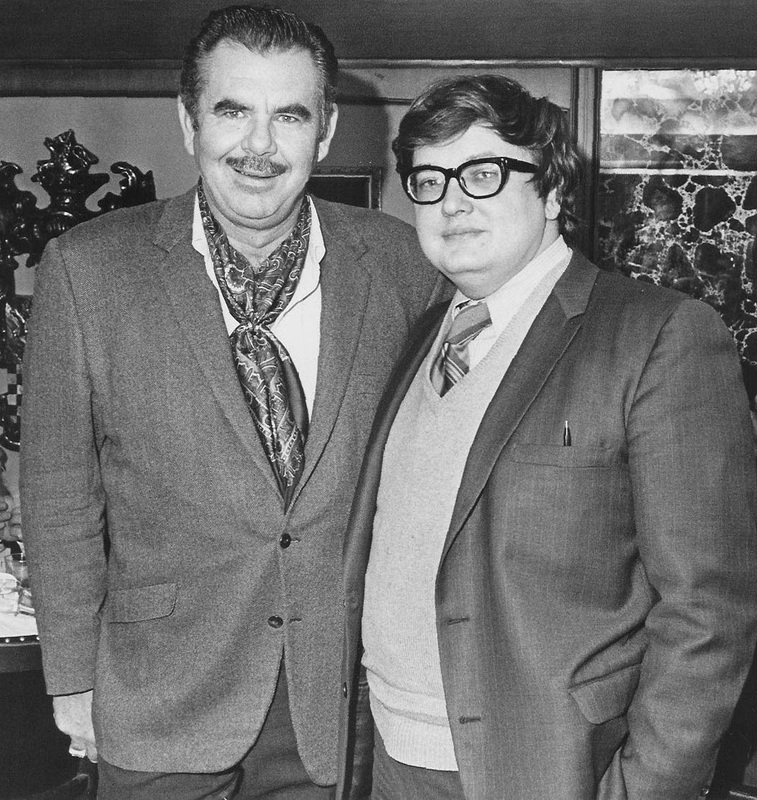 Russ Meyer and Roger Ebert in the late 1960s. A good bit of detail is given to Ebert's hard-partying newsman lifestyle and battle with alcoholism, his relationship with various Chicago writers and swinging 60s filmmakers like Russ Meyer with whom Ebert wrote the film Beyond the Valley of the Dolls, a classic sixties farce/exploitation picture. Martin Scorsese scores one of the films biggest laughs (and there are plenty) in his discussion of the Ebert-penned movie. 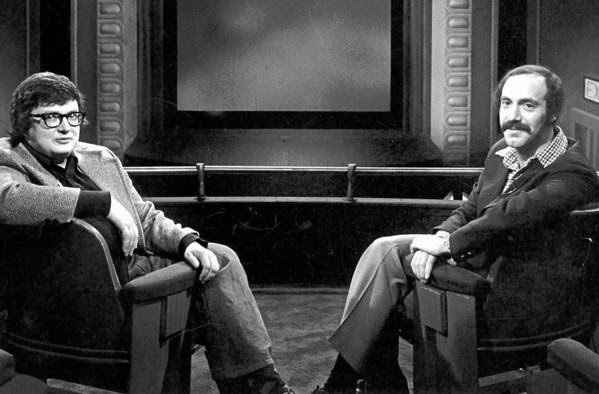 The best of Life Itself focuses on Roger's long relationship with bitter rival, Gene Siskel of The Chicago Tribune. You remember the show. It ran for over twenty years until Siskel's death in 1999. It was always one of my favorites to watch on Saturday afternoons growing up. Ebert and Siskel or Siskel and Ebert? 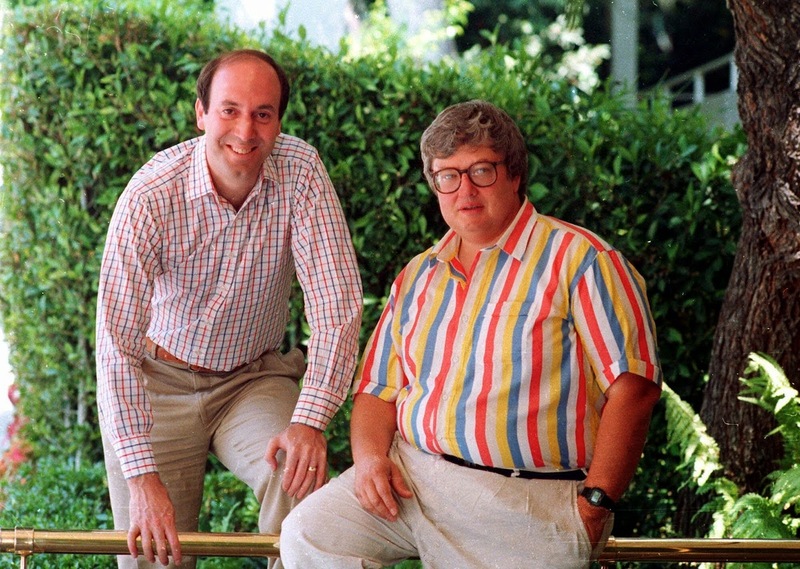 It appears at times Siskel and Ebert hated each other. They were total opposites, yet they transformed together what film criticism would become. What awaits at the end of that story is of the most touching things I've seen in any film. I don't want to spoil anything here. It is the best part of the movie. The list of accomplishments that Ebert attained as a movie lover, a sports writer, a news reporter, a film critic, a philanthropist, a film conservationist, a panelist at the Conference on World Affairs, a regular fixture at the Cannes Film Festival, a friend of Martin Scorsese and Werner Herzog is the stuff of legend. The man himself is legendary, and his story is not a secret. It is right there for you to read, yes, read. Rogerebert.com is one of the great movie websites on the Internet. It still operates under the editorship of a great film and TV critic named Matt Zoller Seitz. Ebert, among other things, grabbed ahold of the online world ahead of any other major film critic. After losing his speech, he just made it a reason to write more. He started a blog that not only discussed the movies but politics and current events and humor and everything in between. Roger Ebert's life touched mine. And the film of his life called Life Itself simply became the send-off I needed. It is one of the best movies of the year. With his newly published memoir in 2012. In one scene late in Life Itself, the James calls in a friend of Ebert's who could recite the final passages of F. Scott Fitzgerald's The Great Gatsby. 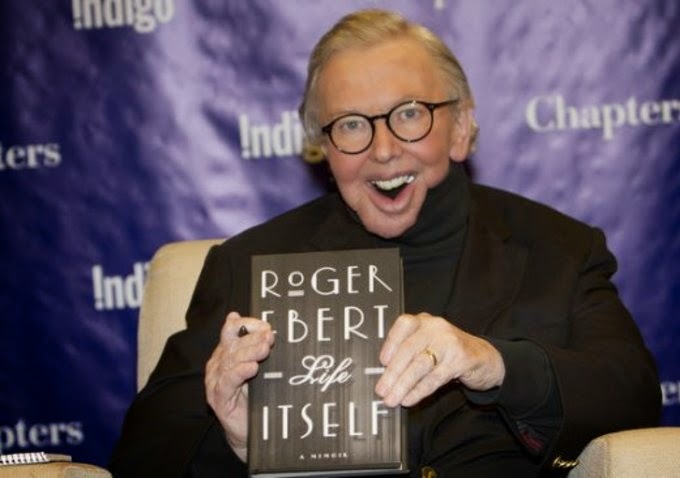 Images of Ebert's life (early and late), his favorite walking path in a Chicago park, an old movie critic, his face demolished by surgeries, waits for whatever comes next in the movie of a life well-lived. Most of the big shore places were closed now and there were hardly any lights except the shadowy, moving glow of a ferryboat across the Sound. And as the moon rose higher the inessential houses began to melt away until gradually I became aware of the old island here that flowered once for Dutch sailors’ eyes—a fresh, green breast of the new world. Its vanished trees, the trees that had made way for Gatsby’s house, had once pandered in whispers to the last and greatest of all human dreams; for a transitory enchanted moment man must have held his breath in the presence of this continent, compelled into an æsthetic contemplation he neither understood nor desired, face to face for the last time in history with something commensurate to his capacity for wonder. The past, I believe, simply reminds us to look ahead to the future. 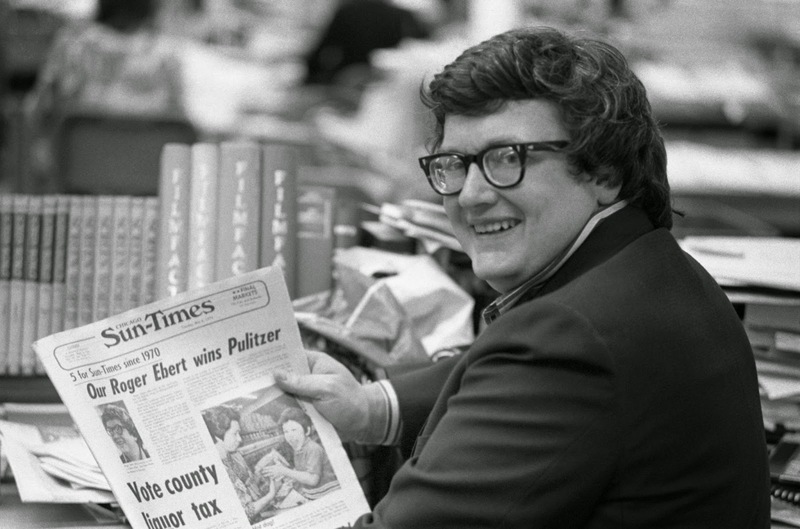 **Note: To read my "In Memoriam" piece on Ebert, written the day he died, click here.